Alejandro Villanueva Martín was born on September 22, 1988, in Meridian, Mississippi. He was born on a Naval Air Station as his father, Ignacio Villanueva, worked for North Atlantic Treaty Organization (NATO) as a Naval officer. His mother, Matilda Martin was a homemaker. He is the eldest child of his parents’ four children and his siblings are Paloma, Iñaki, and Carmen Villanueva. Alejandro is of Spanish origin as are both his parents. Due to his father’s occupation, his growing up saw him move around a lot. His family stayed in Spain, Rhode Island, and Belgium where he played rugby (as he initially preferred that to football). He had learned to play the sport while his family lived in Spain but after a while, Alejandro switched to football while he attended U.S. Dept. of Defense’s SHAPE High School in Casteau, Belgium. He then began playing for the Army Black Knights in college. He found it difficult to adjust initially (from rugby to football) but he eventually did and when that happened, he was the toast of the team and was used in various positions in the sports. Alejandro played as a defensive lineman, offensive tackle, left tackle, tight end, and wide receiver. He also obtained his MBA from the Carnegie Mellon University’s Tepper School of Business. He enrolled in 2015 and completed his 32-month course in 2018. After Alejandro Villanueva completed his training at the United States Military Academy (popularly known as WestPoint), where he graduated from with a degree in Systems Engineering, he was commissioned as a second lieutenant of the US Army on May 22, 2010. Still faced with the choice of settling for a career in football over military service, he chose to serve his country and went to Fort Benning, Georgia to undergo more military courses as a Ranger. Infantry, and Air Marshal. His first deployment was to lead a rifle platoon in Afghanistan. While serving in Afganistan, Villanueva and his men were ambushed and shot at by rebels. His bravery saved his men’s lives as he dragged the wounded to safety, risking his own life in the process. In the end, he saved his men with only one of them dying in his arms. He received a Bronze Star Medal for his gallantry and he also went on two more deployments to Afghanistan within a space of eight months. In 2013, Alejandro Villanueva also served the 75th Ranger Regiment’s Ranger Orientation Program as a volunteer and was assigned to the 1st Ranger Battalion. When Alejandro graduated from the United States Military Academy, Westpoint in 2010, he tried to play football but was undrafted in the 2010 NFL Draft. 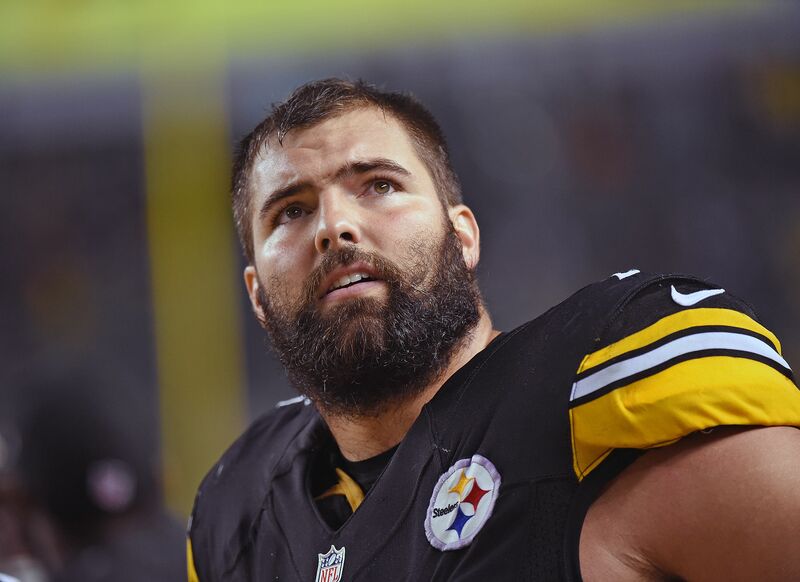 He then tried to secure a contract with the Cincinnati Bengals and when that didn’t come through, Villanueva decided to go back to the military. After his military service, he gave football another try, this time with the Chicago Bears as a tight end, yet again he didn’t make the cut. After attending an NFL Scouting Combine in Georgia, he was among the 240 prospects selected for the next regional combine in Detroit. He was signed on by the Philadelphia Eagles as a defensive end on May 5, 2014, even though he was not used. Three months later, he was cut from the Eagles team and was signed by the Pittsburgh Steelers on August 31, 2014. With the help of Steelers coach, Mike Tomlin, Villanueva changed his game from a defensive end to an offensive tackle which was the best position for his impressive size. He is still on the books of the Pittsburgh Steelers having signed a four-year contract extension worth $24 million in 2017. In 2017, a feud broke out between President Donald Trump and players of the National Football League (NHL) when he called for players who kneel during the singing of the national anthem – Star Spangled Banner – to be fired. The background story is that some players had joined Colin Kaepernick in his protest against police brutality against blacks and people of color – a protest which began in September 2016. Kaepernick and his fellow protesters would kneel, lock hands or raise a clenched fist to the sky while the US national anthem was being played (a pregame ritual before all NFL games). As the protest grew, it became a polarising subject as there were some who supported it and there are others who didn’t. President Trump’s comments also aggravated the issue and NFL players decided to take a stand against the president. And so on September 24, 2017, in a game against the Chicago Bears, the Pittsburgh Steelers, not wanting to be dragged into the drama, decided to stay back in the tunnel until after the national anthem. But while other teammates stayed back, Alejandro Villanueva was seen standing at the entrance of the tunnel with his right hand across his chest in salute to the US flag. He was both criticized and praised for his actions (depending on who was talking at the time), but you can’t blame him altogether as the man served his country in war and understands what it means to die for the nation as he watched one of his men die from rebel bullets in Afganistan. Detailed information about Alejandro Villanueva’s family is not available. As mentioned above, his parents are Ignacio Villanueva and Matilda Martin. Ignacio was a Naval officer who worked for NATO while his mother was a homemaker. He has three younger siblings and they are Paloma, Iñaki, and Carmen. His younger brother, Iñaki Villanueva plays rugby professionally and had represented their home country Spain in the 2016 Olympics. Alejandro Villanueva met his wife, Madelyn Muldoon through her brother Joe Muldoon when he went to their home to spend the holidays with them. Joe was his friend and teammate in the Army Black Knights team back in college. Initially, she was only “Joe’s baby sister” but then she grew up and his interest became stronger and before long they started dating in 2012. Things would go a lot faster as in November 2013, they were already saying “I do” to each other. The wedding was a small one which took place in the bride’s parents’ compound. However, a proper and more lavish wedding was later held on May 9, 2015, as Alejandro and his wife, Madelyn treated guests to a banquet. Their marriage is blessed with a son who was born in 2016.